Move the angles around the edge of the circle. How does the red angle relate to the green angle? 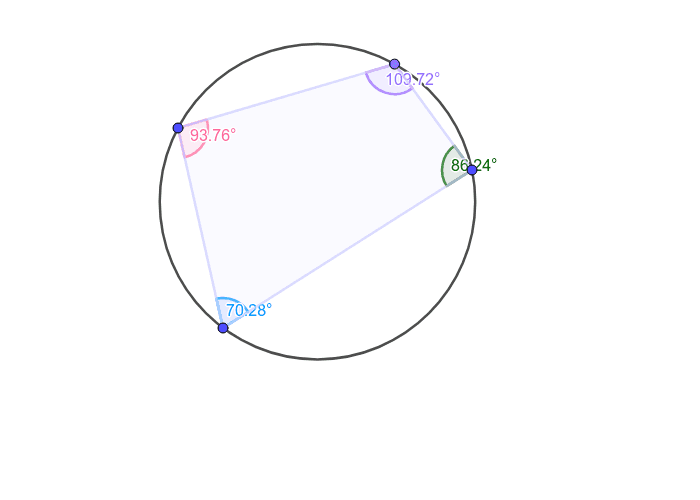 How does the blue angle relate to the purple angle?